Have the Climate Deniers Won the War–Or Just Built the 21st Century Maginot Line? How often do you see a big documentary on Global Warming on TV now-a-days? Sure, the nightly news often mentions global warming when it runs stories on hurricanes, tornadoes, floods, fires and other extreme weather events, or when it does stories on habitat changes for animals, plants and insects, but you seldom see big documentaries about climate warming anymore. Nor is climate change a hot political issue for the presidential elections. Obama hasn’t made it an issue, and when climate change does come up in Congress or State Capitols it’s often by politicians suppressing climate change data or bills, or even writing laws against collecting climate data. 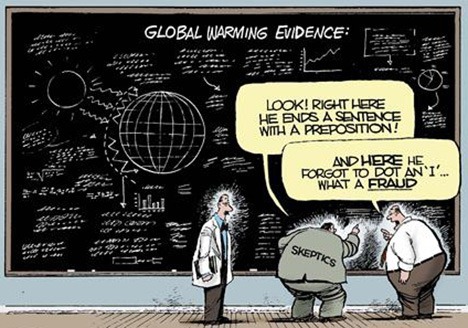 Are the climate change deniers and skeptical scientists right? Do we have nothing to fear from global warming? Or are they complete deniers of reality and have built a political Maginot Line to convince the American public we’re all safe from the global warming threat? Many of the reports above are from writers attacking the idea of global warming and climate change. They consider themselves fighting fear mongers. Now you can read for yourself the reports about the climate from NOAA – State of the Climate. This ain’t light reading and you have to concentrate on the data, charts and graphs. If you search the web you can find reports from other agencies and countries. On one hand you have the scientists studying the data, and on the other hand people, including some scientists, but mostly right-wing activists who say the data is all wrong, deceptive or incomplete. Who do you believe? The folks you want to believe? Doesn’t that make us all reality deniers? We spend untold billions on defense because we fear attacks on the United States. If global warming is the threat scientists say it is, it’s more of a security threat than we’ve ever faced by any war. We have a long history of going all paranoia over reds, but why greens? Some people even believe the greens are the new reds. But the greens are trying to protect America, but the public doesn’t want to believe that. There is something deeply psychological going on here and I don’t know what it is. If everyone is sticking their heads in the sand, what do you do? If the collective says, “Let’s pretend nothing is happening, and it will all go away,” what do you do? To tell the truth, I’m starting to wonder if there’s a huge scientific reality to denying. That’s it’s part of human nature. That no matter how bad things get, the deniers will keep denying global warming, and finding reasons to think things are okay. That denying reality is MUCH bigger than science. That if I read enough history I’d find that the deniers have always won the war on denying. Or is it simply, to conservatives liberals always have to be wrong, no matter what, and on every subject. This is the very reason I changed grad study programs Jim. I was actually working on a program in Environmental Policy & Management but once I delved down into the industry further, I felt that this is a losing battle (IMO) at least for the next few decades. I even closed a “green focused” company I started a few years back because of the negativity the deniers have generated in the space. While I greatly admire the scientists and organizations that are doing great work in the industry, I find the entire industry and the entire question revolving around the existence of global warming exhausting. It’s hard enough to innovate in any realm of science/technology. With the seemingly unlimited resources being used to discredit climate science, it’s just not worth it for me personally. Have the deniers won? I think it’s a matter of perspective. On the one hand they have managed to convince a large portion of the population that climate change is a hoax. On the other hand, scientists have put out a large number of terrific studies in recent years and climate science is slowly coming into its’ own as a credible area in many respects. I personally think that nothing is going to change until humanity is facing an unprecedented crisis before people realize what’s really happening with our planet. It may be human nature to deny things as you mention but in this case, I fear that human nature is being fooled in a very big way. Rational people believe the scientific consensus – or, at least, accept it as the best answer we’ve currently got. There are no guarantees, of course, but if it’s wrong, scientists will be the first to discover that and the consensus will change. The problem with picking an individual scientist to believe, especially one with a minority opinion, is that it’s no different from believing whatever we want to believe. We can always find an excuse for such things, of course. We are good at rationalizing. But anyone who understands the scientific method should realize why the scientific consensus – where there is one – is always the best bet, in every scientific issue. One of the real strengths of science is that it does come to a consensus (unlike faith-based thinking, which doesn’t).